Filmmaker Jacob Bricca follows the extraordinary journey of his father Kit, a man whose uncompromising idealism changed the world but nearly tore his family apart. Using home movie footage of Kit organizing with Joan Baez and Cesar Chavez in the Sixties, starting Amnesty International USA West Coast in the Seventies, then transforming himself into a high-flying commodities broker in the Eighties, Jacob brings to life a lost history of American idealism and its demise. 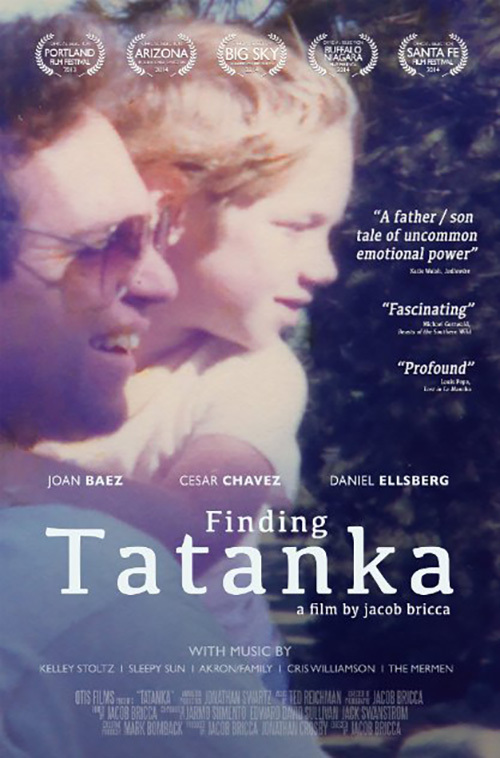 Tatanka trailer from Jacob Bricca on Vimeo.